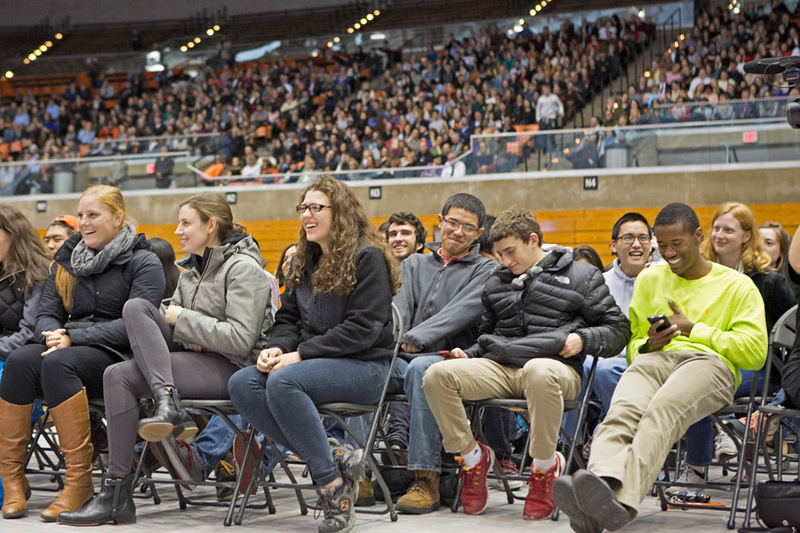 (TibetanReview.net, Oct31, 2014) – Some 5,000 students and faculty members gathered at the Jadwin Gymnasium of Princeton University on Oct 28 to listen to the Dalai Lama’s public talk on “Develop the Heart.” It was organized by the university’s Office of Religious Life and the Kalmyk Three Jewels Foundation, which promotes the culture of Tibetan Buddhists who have emigrated from Mongolia. The main focus of his message was on “the oneness of humanity.” He repeatedly urged his listeners to look past our “secondary differences” based on religion, race, and nationality, and to practice compassion and loving kindness, reported philly.com Oct 28. Earlier, on his way from Birmingham to Princeton, the Dalai Lama stopped in Philadelphia to visit his old friend Dr Aaron Beck. Dr Beck, 94, is a psychiatrist regarded by many as the father of cognitive therapy. The Dalai Lama frequently refers in his public talks to a conversation they had some years ago. Dr Beck explained then that when we are angry about something, the object of our anger seems entirely negative and yet 90% of that feeling is our own mental projection. This valuable insight corresponds to the ancient Buddhist master Nagarjuna’s explanation. 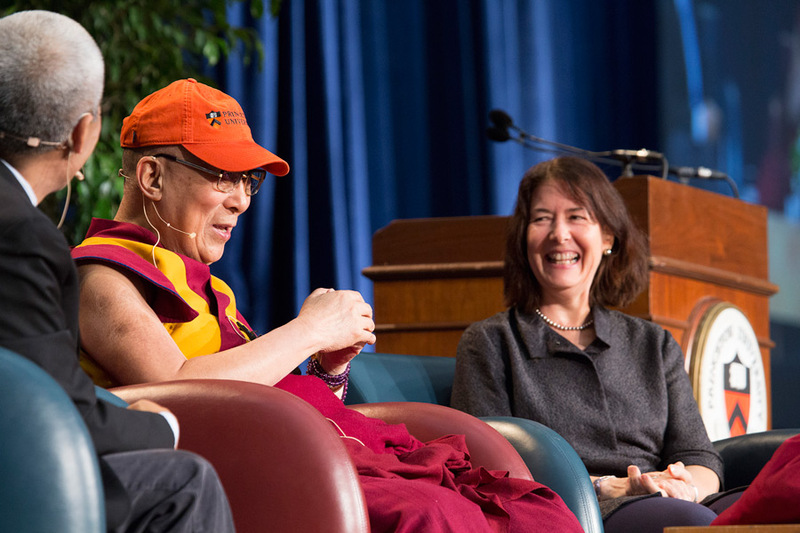 At Princeton the Dalai Lama also joined a panel that included Professors Jill Dolan, Mitchell Duneier and Eddie S Glaude Jr to discuss ‘service’ with 150 students in the Library of the Chancellor Green Rotunda. He said service to others need to be motivated by love and affection and referred to the ethics of the bodhisattvas that include the ethics of restraint, the ethics of altruism and the ethics of actually giving assistance.